Washington, who always treated his dental troubles as a state secret, was mortified to learn that a mail packet that included a personal letter requesting dental cleaning tools had been intercepted by the British. 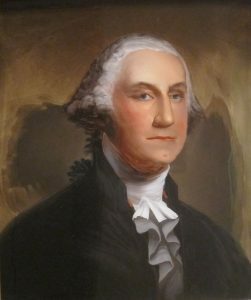 As the 4th of July rolls around, you may not realize that the teeth of our nation’s first president and commander in chief during the American Revolution, George Washington, played a role in the defeat of the British. According to the website “George Washington’s Mount Vernon“, Washington’s dental troubles helped to mislead the British army in 1781. “Washington, who always treated his dental troubles as a state secret, was mortified to learn that a mail packet that included a personal letter requesting dental cleaning tools had been intercepted by the British. Washington’s letter to his dentist pointed out that he had “little prospect of being in Philadelph. soon..” and that the tooth scrapers should be sent to him outside New York by mail. Organization or entity, often employer or union, that contracts with the dental benefit organization to provide dental benefits to an enrolled population.